How would you simulate the sound of a violin? The stretching of a rubber band? The flight of a paper airplane? The flickering of a flame? The formation of a galaxy? Forecast the weather? The traffic on a highway? The spread of a rumor? Recognize a face? Animate a face? Digital systems are routinely used to model natural systems for purposes ranging from recognizing realities, to experimenting with possibilities, to realizing fantasies. This course will survey the useful levels of description for such mathematical modeling, including analytical, numerical, and data-driven techniques. The focus will be on understanding how the methods relate, and on how they can be implemented efficiently. Relevant background for each of these areas will be covered, with introductory experience in linear algebra, calculus, and programming assumed. The assignments will include problem sets, programming tasks, and a semester modeling project. 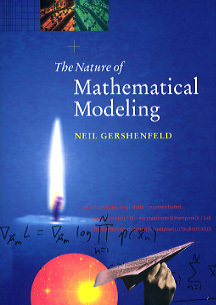 The course is based on the text The Nature of Mathematical Modeling, with revisions for a second edition to be provided throughout the semester.